The Crochet Coral Reef project is now the largest participatory art & science endeavor in the world. Created by twin sisters Margaret & Christine Wertheim, more than 10,000 people in a dozen countries have contributed to this global art happening and over two million people have seen Reef exhibitions. Combining mathematics, marine science, handicraft and community art practice the Reef project uniquely bridges domains of knowledge usually seen as worlds apart. Here the biology of corals and feminine handicraft are linked to the foundations of geometry and the mathematics underling general relativity. 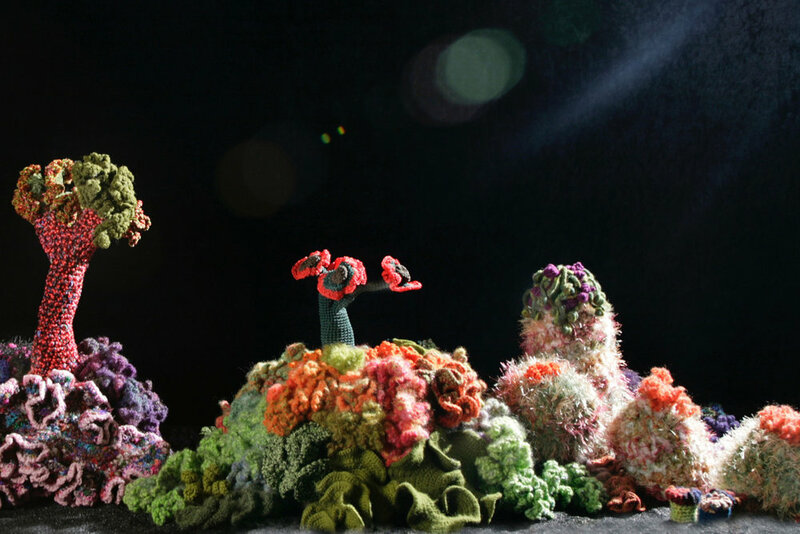 In this inspiring multidisciplinary talk, Margaret discusses the Crochet Coral Reef as a powerful way of uniting art & science while also engaging audiences in discussion about climate change and the ecological crisis facing our planet. – For more about the Crochet Coral Reef project, plus a gorgeous gallery of images, see here. – Watch Margaret's Crochet Coral Reef TED Talk. – Crochet Coral Reef - book by Margaret & Christine Wertheim. A lavishly illustrated history of this 12-year-long, planetary-wide project. – A Field Guide to Hyperbolic Space - Margaret's brief poetic book about hyperbolic space, also containing an introduction to the hyperbolic crochet technique discovered by Dr. Daina Taimina.